Arjuna Rathnayake from Earl’s Regency walked away as the winner of the recently concluded Absolut Bartender Challenge 2012. The competition organized by Periceyl (Pvt) Ltd in collaboration with the Kandy Hoteliers took place in the hill capital recently. The “Absolut Stinger” created by Arjuna bagged him the first place in the competition. 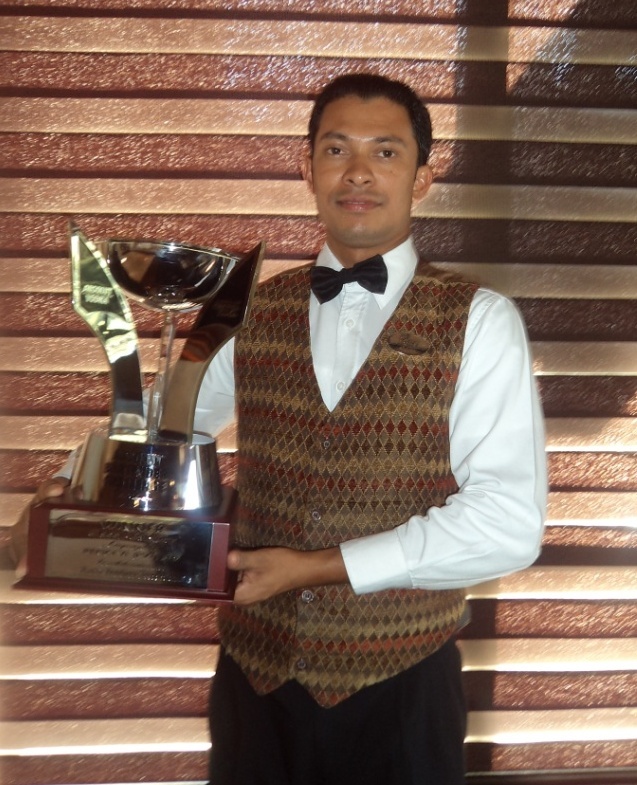 Arjuna Rathnayake who hails from Galagedara commenced his career at Earl’s Regency as a trainee waiter. Motivated by his passion and talent Rathnayake climbed up the ranks and was soon promoted to barman. In his new position the talented Rathnayake excelled in the competition arena where he went on to win a Gold and Bronze Medal at the Chefs Guild Culinary Art 2010. “We are extremely proud to have in our team, talented members such as Arjuna. We take great pride in our staff and continuously encourage them to participate in competition in order to nurture their inherent skills. Seeing them excel motivates us and encourages the rest of the team to follow their dreams”, said Mr. Neroy Marso, General Manager, Earl’s Regency, Kandy. Nested in the historical hill capital of Sri Lanka, Earl’s Regency is recognized as the premium five star property in Kandy. The Hotel owned by Sumiko Lanka Hotels is managed by Aitken Spence Hotels, a subsidiary of Aitken Spence. With international tourist arrivals reaching one billion in 2012, the tourism industry has recognized that it imperative for industry leaders and followers to accelerate their sustainable energy initiatives in order to guarantee the future development of the industry. It is promising to note that tourism currently leads the way in some of the world’s most innovative sustainable energy initiatives. Energy efficient upgrades to aircrafts, the shift to renewable fuel for aviation and cruise liners and energy solutions at hotels have helped place the tourism industry in the forefront of powering the sustainable energy wave. The United Nations World Tourism Organisation recognizing the importance of sustainable energy in the tourism industry, initiated this years World Tourism Day 2012 under the theme Tourism & Sustainable Energy: Powering Sustainable Development, with official celebrations taking place in Maspalomas, Spain. This year’s theme aimed to highlight tourism’s role in a brighter energy future; a future in which the world’s entire population has access to modern, efficient and affordable energy services. Aitken Spence Hotels, a pioneer in the local tourism industry has continually been in the forefront of developing efficient hotel energy management systems by practicing the control of procedures, operations and equipment that contribute to the energy use in a hotel operation. The Company has already taken important steps towards the future by improving energy efficiency and increasingly using renewable energy technologies in its operations. These steps are creating jobs, lifting people out of poverty and helping to protect the planet. The group has a comprehensive energy conservation policy and has concentrated on reducing its dependency on fossil fuels by switching to renewable energy. 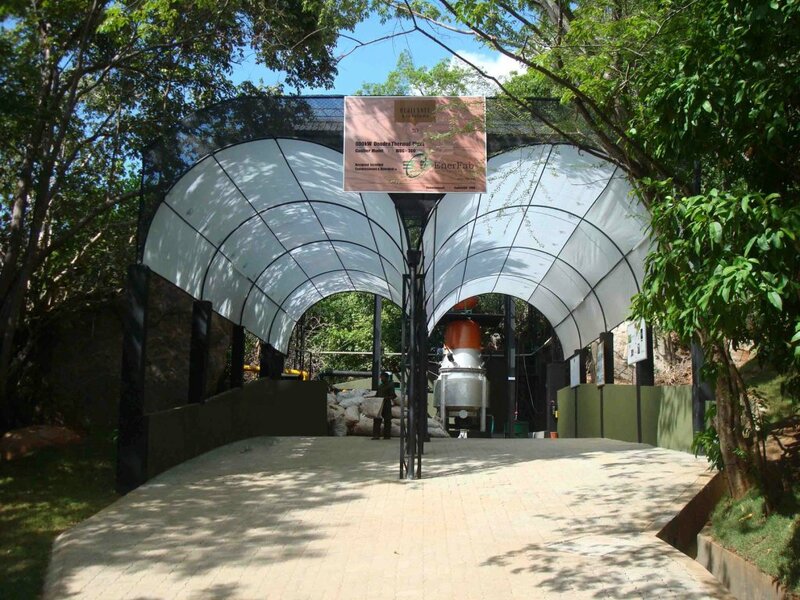 In a first for any hotel in Sri Lanka, a biomass gasifier was installed at Heritance Tea Factory and thereafter at Heritance Kandalama. The gasifier reduces 750 tonnes of carbon emissions per year by replacing diesel with grilicidia wood. With another first in the industry, Heritance Ayurveda Maha Gedara broke new ground by being the first hotel in the country to enter into a Net Metering Agreement using solar photovoltaic as the renewable energy source. Continuing in its pioneering trend, Aitken Spence Hotels, had initiated to introduce ISO 50001:2011 as a tool to reduce energy consumption, having recognized the ever escalating energy cost and the impact on global warming due to the efforts to generate more energy. In its efforts, Heritance Ahungalla was recently certified for Energy Management System ISO 50001:2011, the first resort in the world to do so. “Aitken Spence Hotels have been practicing sustainability even before the advent of the triple bottom line approach. 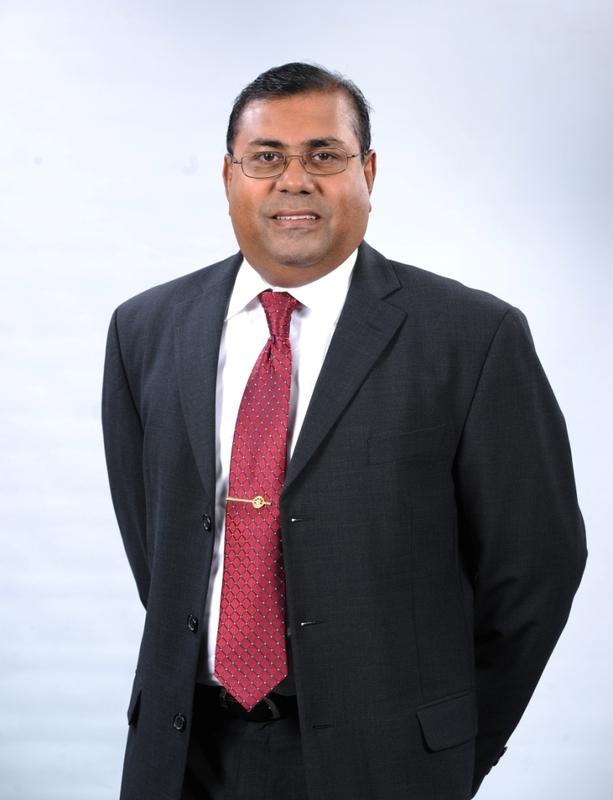 We are very enthusiastic in continuing in this trend and playing our part in reaching the United Nations goal of achieving sustainable energy for all by 2030 and position tourism at the center of the clean energy economies of the future,” said Mr.Rohitha Rajaratne, Vice President, Engineering, Aitken Spence Hotels.